Having been taken over by the South African Group, Distell in 2009, bisquit cognac »”>Bisquit Cognac has been in rude health with double digit profits each year since. So it makes perfect sense that a house that’s becoming a player in the industry, and has a very real ambition to become a global household name, has a grand headquarters to complete the package. 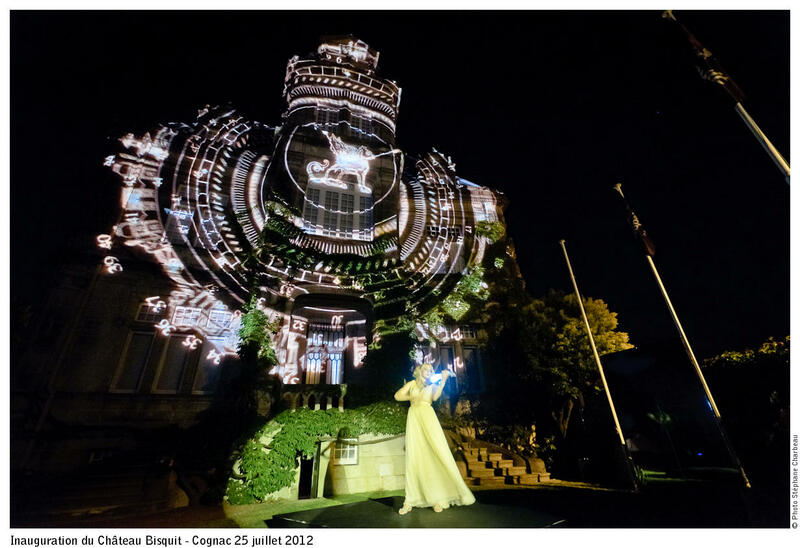 July 25th, 2012 saw the official opening of the new Bisquit Cognac HQ, in the former Château Pellisson in the centre of the city of Cognac, after 8 months of renovation; it’s been Chateau Bisquit for 3 years now. 150 guests came together to celebrate the occasion, including managing director of Distell, Mr Jan Scannell, and president of the newly named ‘Bisquit Dubouché & Co,’ Vincent Chappe. Bisquit Dubouché was (re)founded 3 years ½ ago. 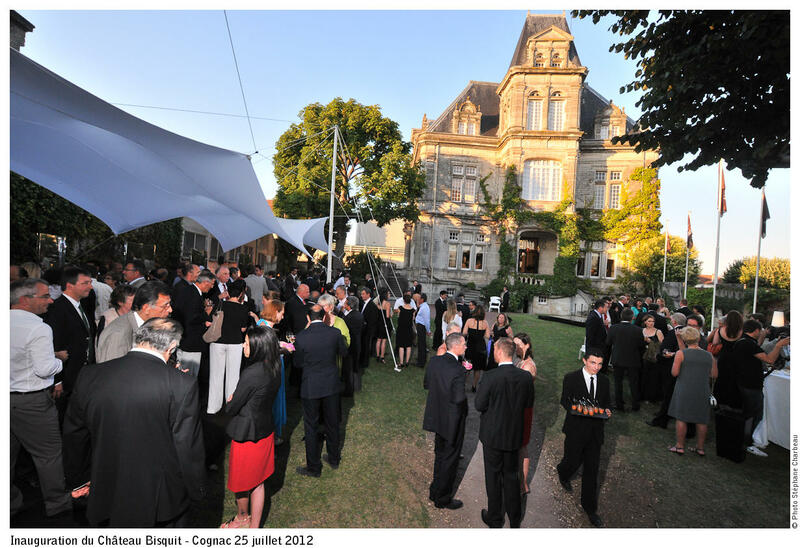 The guests included local winegrowers and many members of Bisquit’s international distribution network. The chateau occupies 15,000 m2 of prime Cognac real estate, and the whole shooting match of Bisquit Cognac is now located here. This includes the cellars, bottling plant, warehouses, offices and reception area. The newly named Château Bisquit has taken eight months to renovate, and now represents all that the brand symbolises; a unique relationship to time through its mastery and deep French roots. The guests were treated to a tour of the chateau, including the ‘cabinet de curiosités’ – a room that houses an eclectic mix of items that date back through the history of the brand and all play a part in the story of Bisquit Cognac. There was also a chance to discover the secret ‘Paradis’ – a cellar housing the oldest of all Bisquit’s eaux-de-vie, including bottles dating back to 1830. 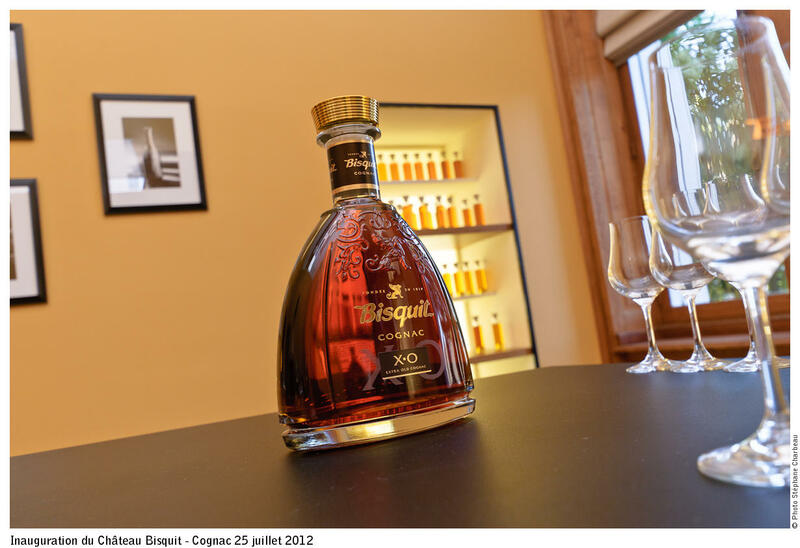 Chappe said that the cognac house – having revived the headquarters and the brand as well as working on new products and marketing – are now ready to turn their sights towards further of the world’s markets. And with Distell being a big player in Africa, they have a huge advantage in the ever-growing markets not only of South Africa, but emerging and dynamic markets such as Nigeria, Ghana and Angola. 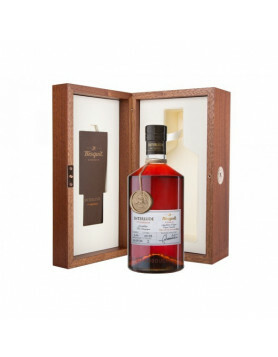 Add this to their already strong position in countries such as Russia, Vietnam and China, as well as Latin America and Europe (Bisquit is the leading brand in Belgium & Luxemburg for example, and leader for VS cognac in Switzerland) then Cognac Bisquit could well reach its aim of counting amongst the top 5 cognac houses by the year 2030. It appears that their efforts are already reaping rewards, with their full range winning medals at the IWSC 2012. 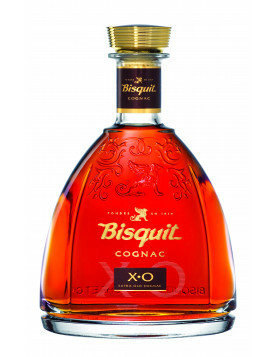 The Bisquit VSOP Cognac was awarded the gold medal, and the VS and XO the silver medal. 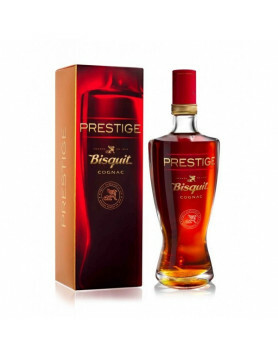 In addition, Bisquit Prestige Cognac, launched at the end of last year in China, was also awarded the gold medal. What happened to Cognac Pellisson Pere & Co? Were they taken over by Bisquit at some point, including their chateau?